The Beekman School offers an intensive college placement program for high school students who plan to pursue a higher education. We develop individualized strategies for seniors as they complete their college preparatory educations. Our college placement counselor assists students as they navigate the planning and application process for a university or college. We work with our junior and senior high school students as they take their college prep classes to maximize their potential for success following graduation. A primary goal of our school’s college placement program is to help parents and seniors understand the increasing unpredictability of admissions and the pressures that accompany this process. We provide a personalized plan to guide each student in selecting and applying to a college that will best match their expectations. Since parents are integral to this plan, we encourage them to attend our College Evening in the fall. Each year, approximately 98 percent of the Beekman graduating class attends college. We play an active role in making this happen. Communication is the key to success in college placement. Contact between the Beekman college counselor, students and college placement offices is ongoing. Our mission is to oversee the entire application process in a personalized manner to ensure the timely submission of complete, well-organized and high-quality applications that will achieve successful outcomes. Questions about Beekman’s College Placement Program can be directed to collegeguidance@beekmanschool.org. Our formal placement program begins with seniors meeting one-on-one throughout the fall with our experienced, highly-skilled college counselor. These meetings cover a wide range of topics, including student interests, abilities, GPA and testing, as well as overall college objectives and future plans. Based on this input, the college counselor is able to offer seasoned advice regarding potential college choices. Follow-up conferences are scheduled to continuously refine the emerging list of choices and then walk each student through every step along the application path. Each student is guided through the process of obtaining letters of recommendation. Applications from each college are reviewed by the counselor, and oversight is provided in completing the forms and assuring timely submittal. In addition, Beekman English teachers work with their students in preparing a final draft of the essay required for most college applications. Although each student takes primary responsibility for application submittal, Beekman’s personalized support also extends to the family. Parents are encouraged to play an active role in the process through ongoing contact with the college counselor by phone, email or in-person meetings. College Night for Parents – 6:00 p.m.
A Parents’ College Evening, hosted by the college guidance counselor and the headmaster, is held each fall for the parents of seniors and features a guest speaker from the admissions office of a nearby university. This informative, interactive session provides an excellent opportunity to gain insight into the current college admissions environment. Click here for more background on The Beekman School. George Matthew founded The Beekman School/The Tutoring School in 1925. The school was organized to offer a preparatory-school curriculum with all the advantages of highly personalized instruction. Since no two students have the same abilities, learning issues, or goals, teaching is geared specifically to the needs of the individual student. In addition to having small classes, The Beekman School combines a traditional, college-preparatory academic education with a flexible yet structured approach. The Beekman School is accredited by the Middle States Association and registered with the Board of Regents of the State of New York. In addition, Beekman is a member of the College Entrance Examination Board and the Educational Records Bureau. The Tutoring School is a unique program within The Beekman School that specializes in educating students who require private or semiprivate classes. The Tutoring School teaches college-level courses as well as standard and remedial courses. Generally, incoming students follow The Beekman School’s college-preparatory curriculum and receive credit from The Beekman School. The requirements of the New York State Education Department form the core of the curriculum at The Beekman School/The Tutoring School. It is strongly advised, however, that students exceed these requirements, especially in the areas of mathematics, the sciences, and humanities. 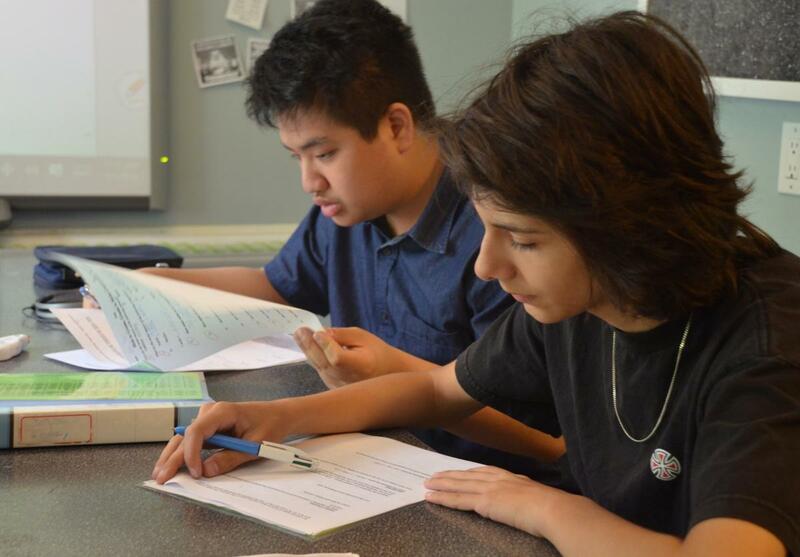 The Beekman School offers four approved AP Courses, three of which are available to seniors. The faculty at The Beekman School has also developed many interesting and challenging elective courses such as Psychology, Ecology, 3D Graphics Production, App Development, Creative Writing, Modern Politics, International Politics, Digital Photography, Coding, Electronics, Forensics, Philosophy, Film & Filmmaking, and Astronomy. In addition to the wide variety of courses offered at Beekman, students may enroll in elective courses at outside institutions such as Turtle Bay Music School, the International Center of Photography, FIT, the Art Students League, Parsons School of Design, and the School of Visual Arts. Beekman students also participate in after-school activities such as the literary magazine, yearbook projects, student council, and volunteer programs. The grade point average reported by The Beekman School is a three-year cumulative average for the students’ first 3 years (six semesters) of high school. The average is not weighted; each grade receives equal weight. The Beekman School / The Tutoring School does not rank. Our skilled advisor provides Beekman students with proactive college placement counseling in high school, delivering assistance during every phase of the application process. As a top college preparatory school in New York, our guidance counselor is highly experienced in college placement. This counselor is trained to offer assistance based on several factors, including a student’s GPA, test scores, and individualized school curriculum. He develops college admissions plans on behalf of our upperclassmen to ensure the students meet all deadlines and submit quality applications. Approximately 98 percent of Beekman graduates go on to attend college. Contact us to find out more.